Meet your new go-to recipe! These magical meatballs are bulked up with shredded zucchini and feature a touch of cream cheese for extra richness and deliciousness. Check it out! Shred zucchini, and place in a strainer to drain. Using a clean dish towel (or paper towels), press out as much moisture as possible. Transfer zucchini to a large bowl, and add remaining ingredients and seasonings. Thoroughly mix. Firmly and evenly form into 16 meatballs, and place on the baking sheet, evenly spaced. Bake for 10 minutes. Flip meatballs, and bake until cooked through, about 10 more minutes. 3 Ways to Serve ‘Em! ⭑ Asian Style - Grab some thick teriyaki sauce or marinade, and coat those meatballs. Then sprinkle with sesame seeds! 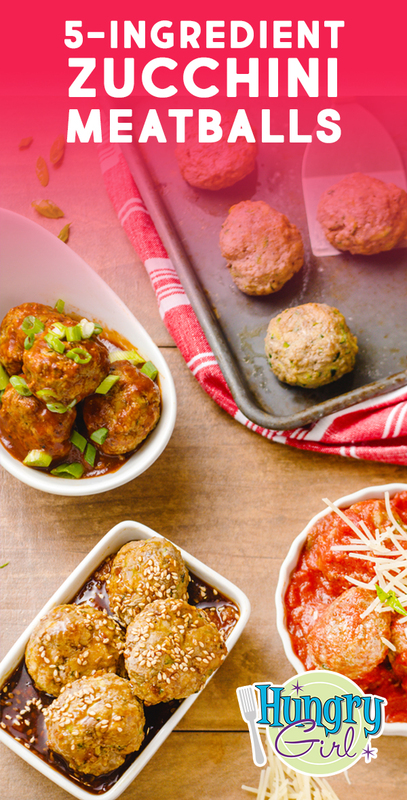 ⭑ BBQ Style - The sweet & smoky flavor of BBQ sauce goes perfectly with these meatballs. Don’t forget to top it all off with some chopped scallions for crunch! The folks at OXO are brilliant. Why don't ALL box graters come with a measuring-cup attachment that catches all your grated bits? No mess = YES! 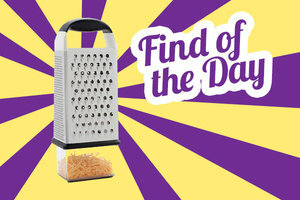 Anyone who grates needs this in their life. Box graters are so versatile: Use them to grate your own cheese, shred carrots for salads, and (of course) whip up today’s Zucchini Meatballs! 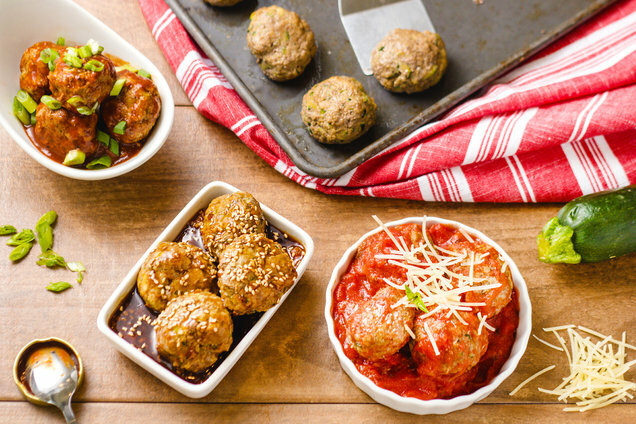 Hungry for More Meatball Recipes? If you're in the mood for chicken, you're in luck! It's National Chicken Cordon Bleu Day, April 4th, and we’ve got Crispy Chicken Cordon Bleu for Two. Roll this recipe right along… Click "Send to a Friend" now!